The effects of chronic data breaches on our digital world have now taken hold. Consumers and businesses alike are faced with unprecedented cyber insecurity, where personal information is awash on the dark web. The result is a breakdown in bi-directional trust between customers and organizations conducting digital transactions. Rather than implementing verification processes that increase friction, businesses must pursue frictionless onboarding and authentication methods to stay relevant and competitive. More than ever, identity verification has become a strategic business initiative. 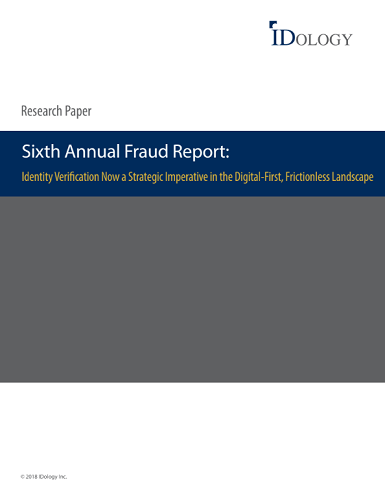 Now in its sixth year, IDology’s annual Fraud Report measures fraud trends across a variety of industries in order to better understand the identity and fraud landscape, detect emerging trends, and offer insight for businesses.